The May issue of the Annual 2014 contains a beautiful overland style by a new contributing artist: Glynn Seal of MonkeyBlood Design. We became aware of his beautiful Havenland set of symbols for overland maps, and luckily Glynn was more than willing to create a set for the Annual. 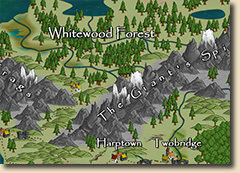 The Havenland style is a full overland style with beautiful textures, mountain, tree and structure symbols. 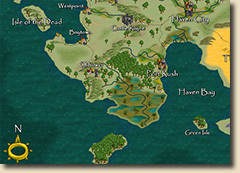 The accompanying mapping guide takes you through creating a complete map using all the style's features.